If you’ve been scouring Pinterest for wedding ideas, then you’re probably familiar with the classic sparkler send-off. Over the last few years, these have become immensely popular and for a good reason. They’re adorable, and they make for fantastic wedding pics. So, if you’re in need of some sparkler inspiration for your big day, you’re in the right place. Here are a few ideas that’ll hopefully get the ball rolling! 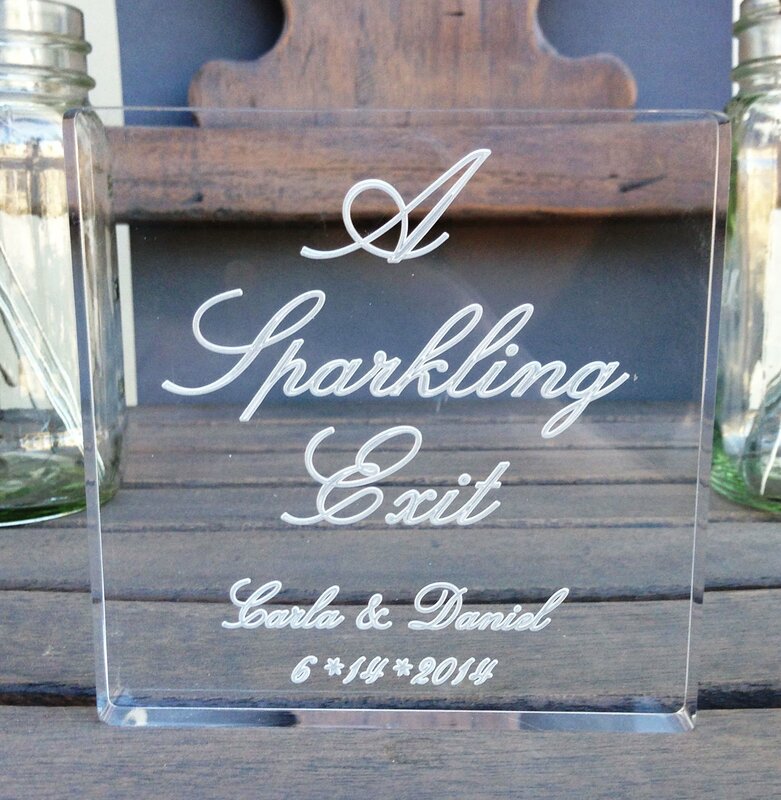 If you’re looking for a unique wedding favor, you could perhaps give your wedding guests a sparkler. Not only is this an excellent talking point for your guests, but it’s also a fun hint for whats to come later in the evening. In our experience, sparkers around nine inches long are a great size for displaying on tables. 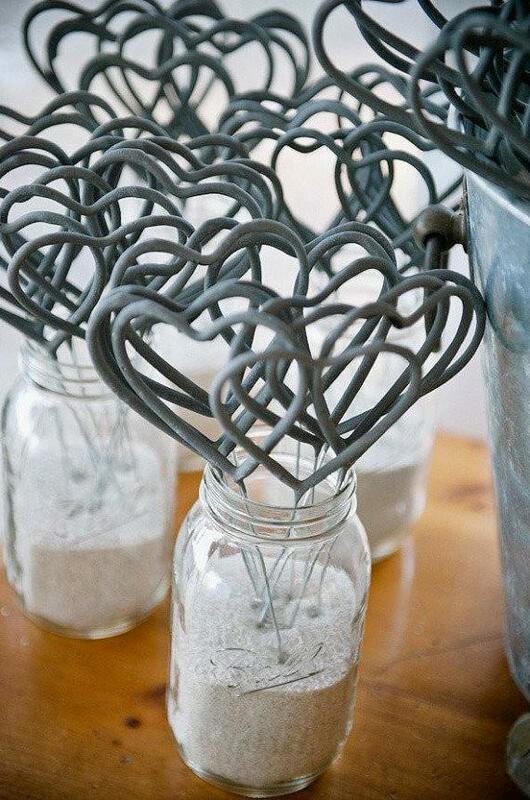 They add a splash of fun to your wedding decor without being too overbearing! 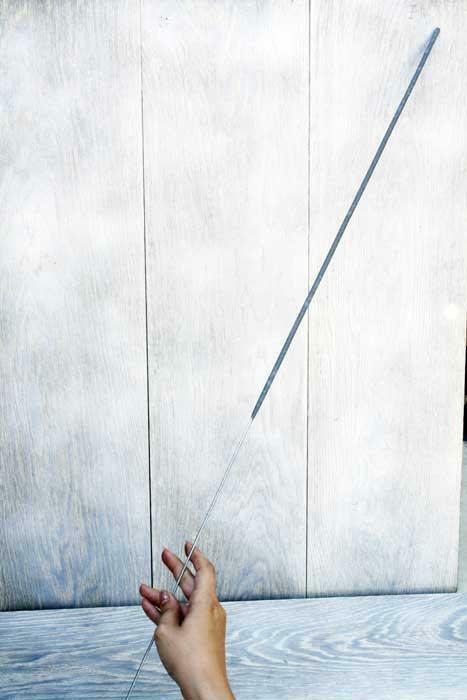 If you opt for a sparkler around this size, you can expect roughly 35 seconds of fabulous golden sparks. Unfortunately, this isn’t long enough for your send-off so make sure you have enough for each guest to have a few. 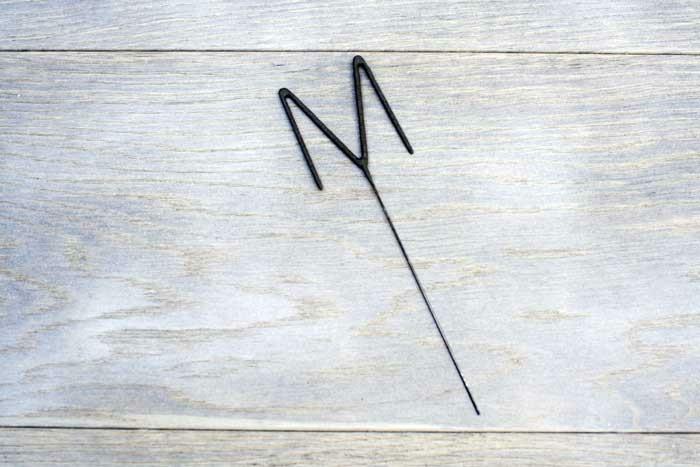 This helps to avoid your guest’s sparklers burning out before you’ve walked through the archway! If you’re interested in these sparklers, click here to get your hands on them! They’re so cute, and perfect for weddings. People won’t be expecting these fun-shaped sparklers, so they’re bound to stick in the minds of your guests for a long time to come. To purchase a set of these, click here. Monogram sparklers make for fantastic photographs! 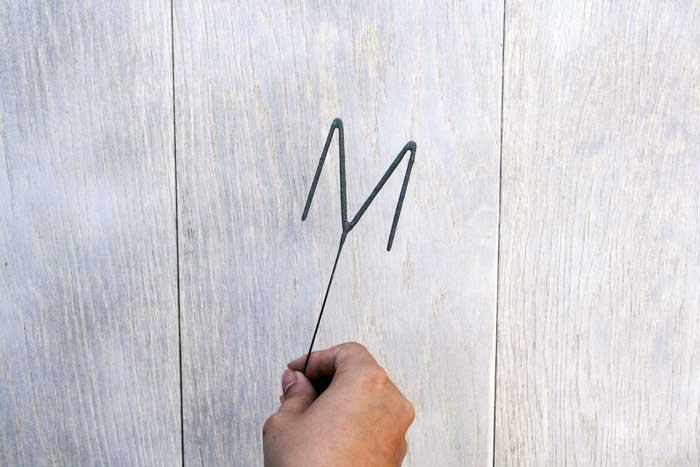 Have you considered buying sparklers in the shape of your initials? You could join in the fiery fun as you walk down the line up with your own personalized sparklers- so cute! They also double up as gorgeous wedding cake toppers. Ideal if you’re looking to add a bit of glamour to a traditional looking wedding cake! If you’re worried about keeping your wedding guests informed about your sparkler send-off, then this sign provides the perfect solution. We suggest displaying it alongside your sparklers and placing them somewhere all your guests will see and have access to. This is one of the easiest ways of organizing your guests without having to make much of an effort. 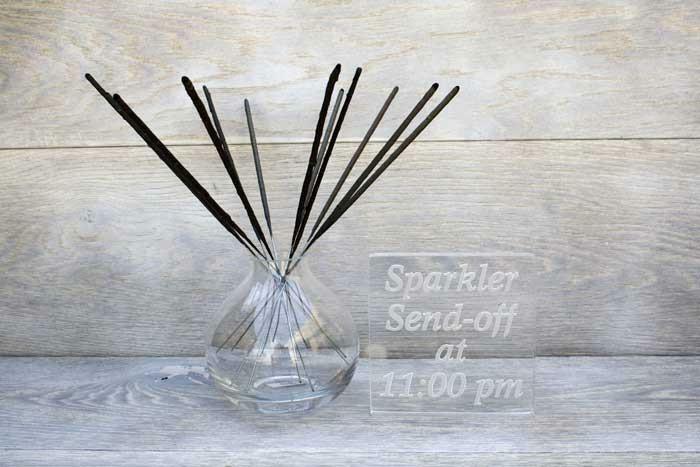 Just like the previous example, here’s another gorgeous design that tells your guests when to prepare for the sparkler send-off. We love the fancy looking font, it’s perfect if you’re hosting a more traditional or elegant style wedding! Want for yourself? Click here! These sparklers aren’t messing around, they’re a whopping 35 inches long! Although they’re slightly more expensive than the shorter ones, they’re far more practical if you have lots of guests. They burn for as long as three minutes! 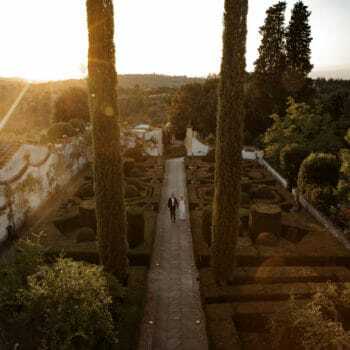 This gives the groomsmen plenty of time to kindle everyone’s sparklers (especially if the guests help out too) and for you to walk down your enchanting archway. What a beautiful way to end your special day! Click here if you’d like a set for yourself! 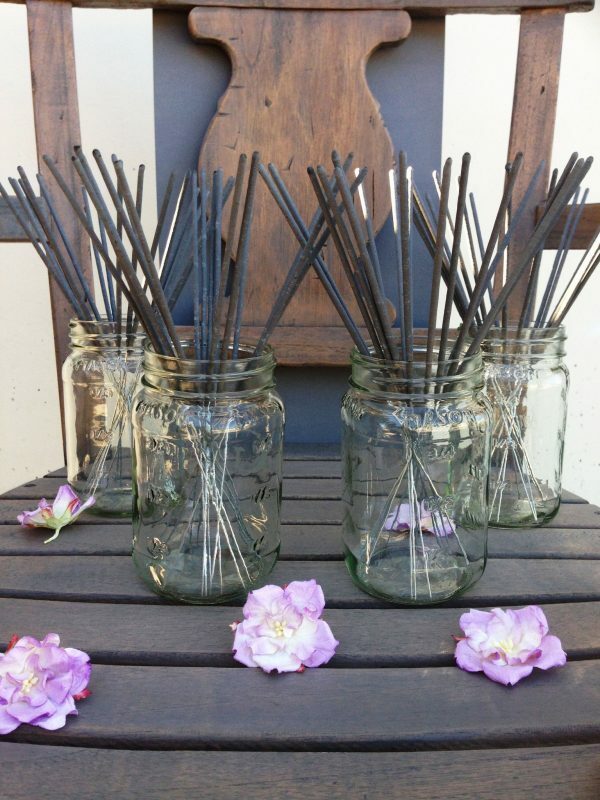 If you’re stuck on how to display your sparklers, we have a beautiful solution for you. 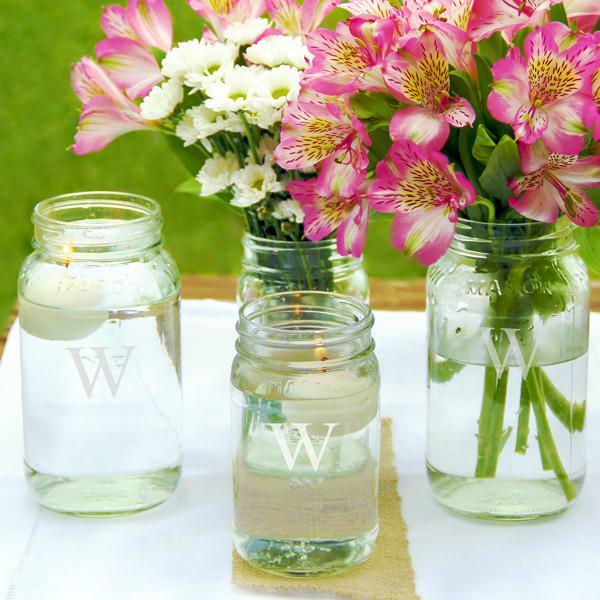 You could store your sparklers in personalized mason jars, like the ones in the picture below. 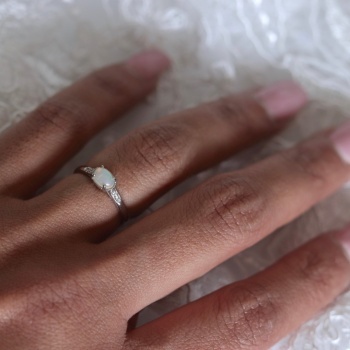 These are the perfect accessory for any rustic, shabby-chic, or vintage themed wedding! Plus, they’re super practical because you can easily carry your sparklers outside when you’re ready to light up! Please note, that if you’re planning on using mason jars, they typically work best with nine-inch sparklers. For more info on these, click here. Always make sure you know how long the sparklers are before you buy them. That way you can buy appropriate decor to display them. Make sure you know approximately how long the sparklers burn for. This will have a massive impact on how many sparklers you’ll need to buy. 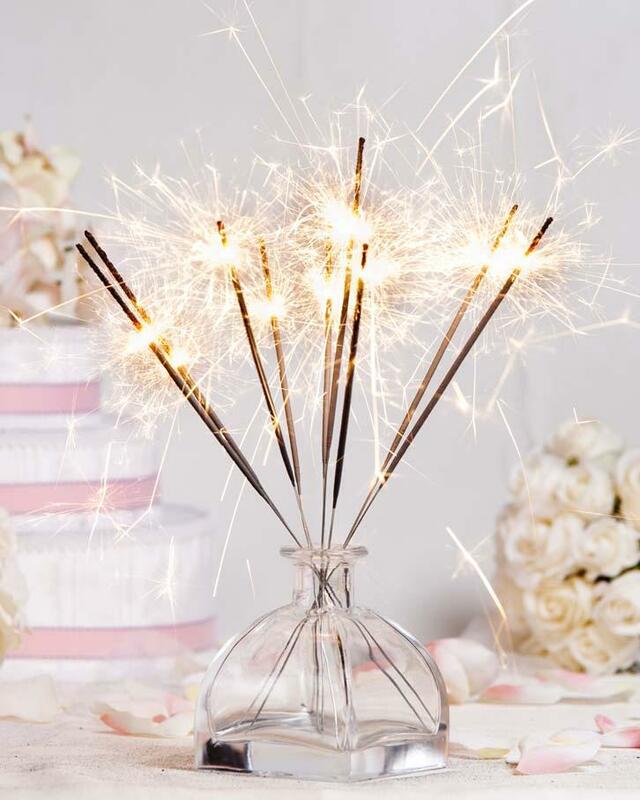 If the burn time’s less than a minute, then your wedding guests will probably need more than one sparkler each. Consequently, you’ll need to buy double if not triple, the number of sparklers. If you can, always opt for smokeless sparklers. They make for way clearer wedding photos, plus you don’t want your wedding guests coughing and spluttering as you make your goodbyes! What Colored Light Are They? What colored light do you want flickering from the sparklers? The most popular choices are silver or gold. If you have a preference, you’ll need to do a bit of research before purchasing. When Should I Buy My Sparklers? We always recommend purchasing sparklers as soon as you’re able to because it limits the stress. You don’t want to be worrying about delivery times, on the run up to your big day. Especially, as sparklers usually have an exceptionally long shelf life (providing you can keep them away from dampness and water). So if you have somewhere safe to store them, go ahead! DID YOU like THIS SPARKLER INSPIRATION? We hope you liked this blog post! 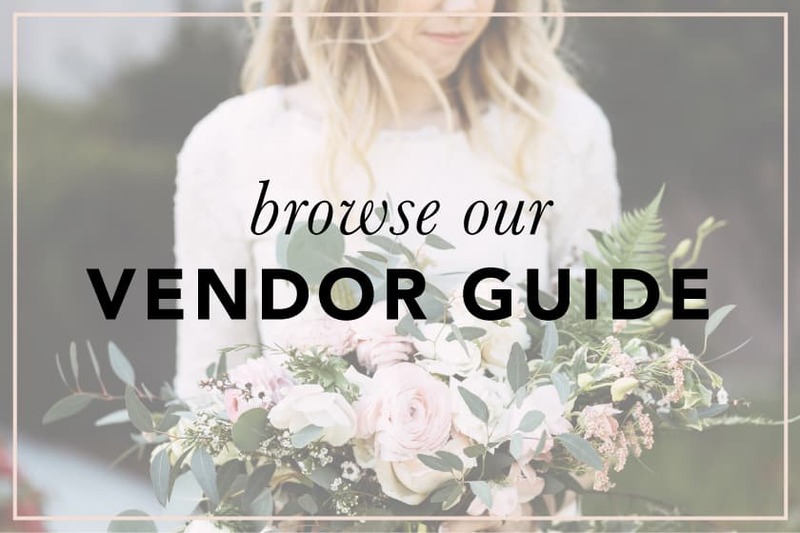 If it’s fuelled you with inspiration be sure to check out the Wedding Sparkler Store (all of the products featured in this article have been selected from there!). P.S. 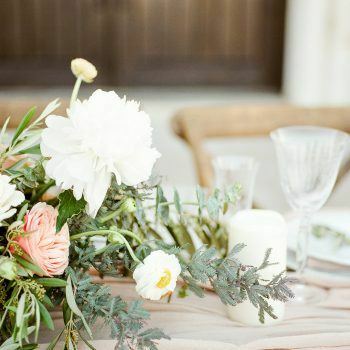 If you enjoyed this article, we’re pretty sure you’ll love this feature we posted a couple of months ago; Are You Dreaming of a Cinderella Themed Wedding? Enjoy! Rosie Greaves- Freelance writer, and wedding and relationships expert. *Please note, our affiliate links are used throughout this post. However, we only feature brands with whom we have a good working relationship with, and can provide excellent quality products. Happy planning!